Yes there are two applications in. One is for a two storey 2 bedroom dwelling and one is for a single storey 1 bedroom dwelling as an alternative proposal. They would not be able to implement both, if allowed, as they are on the same footprint. Application to certify that the proposed erection of single storey extension to south east elevation, enlargement of 1no. window on ground floor north east elevation, replacement external door to north east elevation and alterations to 2no. windows on 1st floor south east elevation is lawful development. 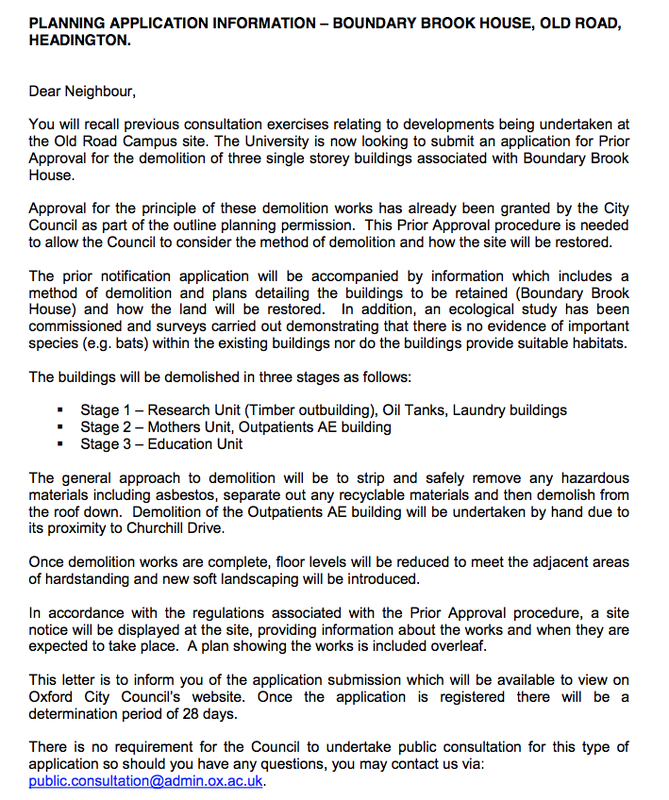 The planning applications page has been updated. Some trends are marked this year. Applicants are getting planning permission and then submitting further applications to vary the original application or its conditions. Office space is being turned into residential space. Owners of larger properties appear to be seeking extensions, rather than moving house. Should permission be granted to build car-free accommodation in Headington? If you agree, then should anyone moving into that accommodation be entitled to ask retrospectively for CPZ visitor permits? This is a hot topic in Headington. Currently those living in “car-free” accommodation are not eligible for parking permits but a planning inspector has ruled in the favour of a developer who has asked retrospectively for the decision on one of his flats to be overruled. This and other issues of concern will be debated in the Open Session at our next Ward Focus Meeting on Tuesday 26th September at 6pm in Headington Baptist Church Hall after the presentation by the Police and Crime Commissioner. The full response runs to 58 pages, but here is a summary of comments. There is much to welcome in this document. However, the balance between housing targets, site allocations and the environment is wrong. The cumulative effect of these policies will be to deliver large developments of highly-priced market housing, which is not necessary or desirable, in return for social housing, which is. They do little or nothing for people in the middle- ordinary working families. They will cause lasting damage to Oxford’s natural setting by being far too ready to discount the essential features of Green Belt- its permanence, and the inviolability of the five founding principles. We are also extremely concerned about the joint effect of this plan and those of neighbouring authorities, for example the potential for coalescence and pressure on services and infrastructure, and see little to reassure us that those factors have been sufficiently considered. Too many sites are safeguarded for employment which could happen elsewhere. We welcome the commitment to green infrastructure, open space and biodiversity corridors and their importance for human wellbeing, but believe this could go further and align more specifically with the government’s emerging narrative around Natural Capital and the 25-year plan for the environment. We welcome moves towards an appropriate level of densification and the discussion around height limits, with the aim of creating a healthy, high-quality, mixed urban environment for all. We support the direction of policies on student housing and HMOs (with some caveats around, for example, vocational courses). Liberal Democrats propose greater flexibility around ownership models, design, balance of dwellings and percentages of housing types in order to bring housing, both for sale and rent, more within the reach of teachers, nurses and many others who are essential to Oxford’s continued wellbeing. Plenty of good models work elsewhere. We would include specific commitments to neighbourhood planning, community-led housing, and certain specified types of tenure. We will reallocate a number of category 2 employment sites for housing, and seek to bring forward new ones, including back plots and brownfield. In certain circumstances, where a site has been safeguarded for recreational use but is not actually functioning as such, we would potentially support allocating part of the site for housing if the recreational, environmental and public access benefits of the site as a whole were maintained or enhanced. We will follow some other local authorities in including a specific policy on basements. We support, and will continue to support, developments which deliver benefits for the people of Oxford. We support moves to enhance protection of Oxford’s unique architectural heritage. Better use should be made of instruments like Conservation Areas and World Heritage Status. We are concerned about the potential impact of development on Oxford’s less obvious treasures like St Thomas’s and St Ebbe’s churches, as well as its more brazen glories. 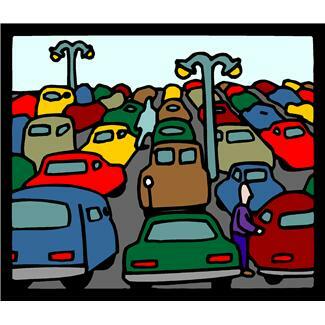 Transport planning has not always delivered the best solutions for the people of Oxford. 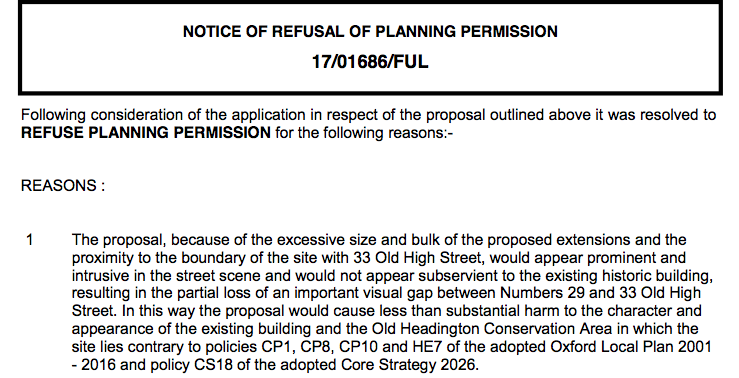 We note (and the document acknowledges) that this Local Plan process can only address matters within the competency of Oxford City Council. A different form of local government organisation would do these things better. However, we seek better and more joined-up forward infrastructure planning. For example, we expressed concerns about infrastructure at Northern Gateway when the AAP was adopted. We do not believe that those concerns have been met. Similarly, transport planning for the new Westgate has clearly been late and inadequate, as last-minute attempts to address on-street parking, carpark charges, congestion, bus access and much else show. We support the removal of tourist buses from St Giles’. Two refusals by planning officers on delegated authority this week. Application to certify that the proposed erection of single storey rear extension, formation of 1no. dormer to rear roofslope and infill of existing door to side elevation is lawful development. Partial demolition of existing house and demolition of existing garages and outbuildings. Erection of two storey side and rear extension. 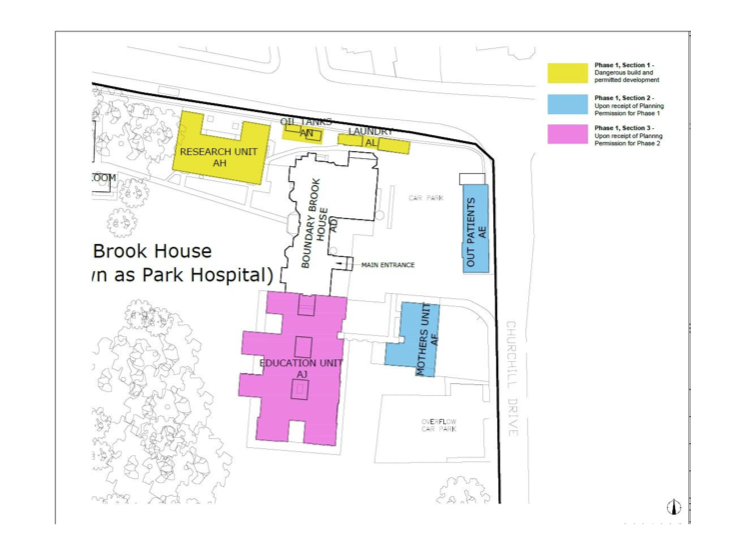 Provision of new access, car parking and turning area. Rebuilding of stone boundary wall fronting Old High Street. We have been asked to confirm the reason that the above application was refused as this link may not be working on the council’s website. Please bear in mind that the owner may decide to appeal against this delegated decision by officers. Retention of vanguard unit and corridor for temporary period of 2 years. Application to certify that the proposed erection of single storey rear extension, the formation of rear dormer and replacement of garage is lawful development. Change of use of ground floor from Doctors Surgery (Use Class D1) to 1 x 1-bed and 1 x 2-bed flats (Use Class C3). Provision of car parking and private amenity space, and bin and cycle store. Application to certify that the proposed hip to gable loft conversion, with rear and side single storey extension is lawful development.